Dubai, UAE, November 23, 2017: This year marks 85 years since British Airways’ first flight to the Middle East, arriving in Kuwait in October 1932. More than eight and a half decades later, British Airways now operates 93 flights a week between its hub at London Heathrow and the Middle East during its winter schedule. Remaining a key market for the airline’s global network of more than 200 destinations, British Airways has confirmed that plans to roll out its new luxurious sleep proposition by spring 2018 and revamped catering menus will be introduced to Kuwait during the year, among other investments. The commitment forms part of the airline’s multi-million-pound investment plans that focuses on excellence in the premium cabins and more choice and quality for all, announced earlier in the year by British Airways’ CEO Alex Cruz. Set to roll out over the next five years, the UK carrier will take delivery of 72 new aircraft and introduce new interiors on 128 aircraft within its existing fleet. 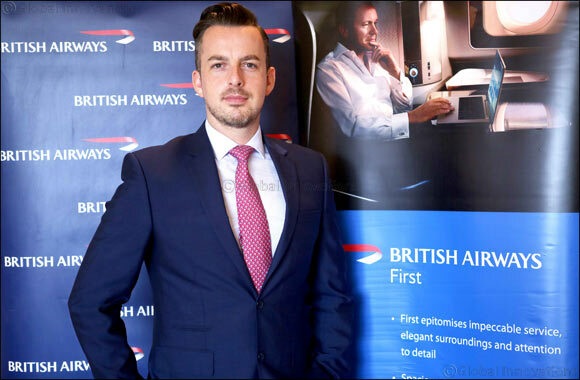 Reiterating Alex Cruz’s comments shared at the recent World Travel Market in London, Robert Williams’ highlighted that British Airways would continue to offer more low fares, ensuring that the airline remains competitive for customers in the global market. He added that there are plans to expand its route network to destinations customers wanted. British Airways’ luxurious sleep proposition includes the airline’s partnership with The White Company to offer exclusively designed bedding within its premium cabin. Club World guests will be offered a large luxuriously soft pillow and white cotton pillowcase, a super-soft woven blanket with satin trim, a specially developed luxury duvet, as well as a padded mattress cover giving an extra layer of comfort. Additionally, The White Company has also designed new Club World amenity kits that will come in elegantly designed bags which contain products from the retailer’s 'Restore & Relax Spa Collection', as well as a super-soft jersey eye-mask, offering a further touch of luxury in the sky. Enhancing the customer dining experience, British Airways will roll out a new culinary boutique service, with display trolleys allowing customers to select dishes from a choice of freshly prepared starters and desserts served on beautiful new table settings. Economy catering will see investments to provide customers with an upgraded service on long-haul, fast Wi-Fi will be introduced across all cabins on both its short-haul and long-haul routes, and self-service check-in and biometric boarding gates will continue to be introduced at London Heathrow. Furthermore, British Airways’ is also developing options for a new Club World seat that offers direct aisle access by 2019.